Information severed from thoughtful action is dead, a mind-crushing load. It was a summer teaching outdoor education in the wilderness that left one of the most lasting marks on my composition pedagogy. In the Porcupine Mountains, I came to see the power of allowing students to do, to hand out paddles and watch them try new methods of steering, to ask students themselves to solve problems like wet firewood, to lead reflection discussions around the smoky campfire that challenged students to look back on their experiences and change their approach for the next day. The following summer, I threw myself into an entirely different teaching situation: an African-American History class in an urban elementary school. Teaching about slavery in that classroom with no air conditioning, I came to understand the social implications of education. "Social justice" changed from an academic concept to an idea with teeth. These two parts of my teacher self have merged into the composition pedagogy I practice today: a pedagogy fueled by a vision of education as a public good and grounded in experiential learning through real-world rhetorical situations. Inspired by Quintilian, Freire, and especially Dewey, I seek to capacitate students--in the spirit of the ancient Greek term dunamis--in effective rhetorical action and civic problem-solving. Community partnerships often provide a context for enacting this pedagogy. 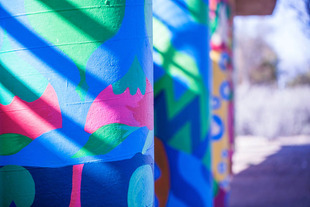 My 300-level course "Community Action and Public Rhetoric: Education Inequality in Tucson" engages students in applying public sphere theory to rhetorical choices--through hands-on community action research. Students are collaborating with a class of local high school students to analyze public arguments, construct community asset maps, interview community stakeholders, draft research briefs, and pitch ideas for a rhetorical intervention into educational inequality. The high school and college students will together select one idea and then collectively plan and carry out an action project. In other words, the course combines Dewey's philosophy of experiential education with his theory that publics are rhetorically constructed: students learn to mobilize publics by attempting to do it, on the ground, with real audiences. Public pedagogy is also part of my first-year composition class design. 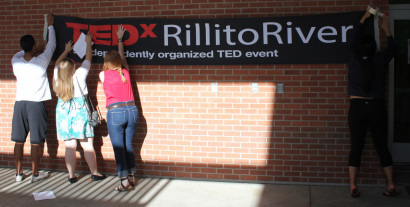 My honors composition classes host TEDxUniversityOfArizona and TEDxRillitoRiver through a license from TED. The students curate the event by selecting speakers, and two students give talks at each event. We consistently run out of tickets, and our talks have had, collectively, 250,000+ views on YouTube. One student speaker received a call from the Kuwaiti embassy thanking him for his talk on Islamophobia. In order to prepare for this broad audience, we study TED talks to learn the art of sharing complex ideas with wide audiences, taking a holistic approach to rhetoric that includes not only invention, arrangement, and style, but delivery and memory as well. The course was selected to be part of an iPad pilot, and we study PowerPoint design. In addition to teaching traditional academic literacies, the goal is to teach public rhetoric and digital literacies. Working with local non-profits to create brochures, social media campaigns, and data reports, students in my professional writing classes gain experience writing beyond the classroom. Recently, one group of students wrote a grant for a special education organization to fund a full set of kitchen and laundry appliances to teach life skills to the special education students. They drastically revised their draft several times in response to interactions with the client, and their grant was funded for $2,800. Another group of students worked with the Southern Arizona AIDS Foundation to create an agency video, currently featured on the organization's website. Working with a client provided the students a much more robust rhetorical situation than any simulation I could devise—one that also allowed them to engage issues of inequality and contemplate how power plays a role in representation. In addition to engagement with real publics, Dewey’s thought influences my class by inspiring a pragmatic concern with consequences and reflection. I want students to see the consequences of their words beyond a grade at the bottom of the paper. Therefore, students write substantive feedback letters about how reading each other’s work has impacted them—where they became confused, why they laughed, how they remain unconvinced because their counterarguments were not addressed. I then meet with them in groups of three, and over an hour, I guide them in responding to each other’s work. This process demonstrates to my students how various rhetorical strategies and textual elements affect them as readers, and as writers, they hear from a varied audience about the impact of their work. As Dewey notes, it is through reflection on why our actions have certain outcomes that learning truly occurs. As I ask my students to create engaging rhetoric and reflect on the consequences of their actions, I challenge myself to do the same. I recognize that teaching is rhetorical, that I must explicitly bring my attention to concepts like ethos, audience analysis, and delivery to my own work in the classroom. This stance leads me to teach lessons titled “Why Bullet Points are Like Middle Schoolers,” to tell stories and move around the room, to bring in quirky prizes for in-class activities. One student remarked in her student evaluation, "She TED-talked us as she prepared us to create TED talks. She's a meta-TEDer!" My teaching evaluations almost always include the words “approachable,” “engaging,” “funny,” and “passionate” each semester. To track my own impact, I also have students complete an anonymous survey each unit on specific lessons and assignments, allowing me to take the pulse of the class and compare data from one semester to the next on revised lessons to analyze effectiveness. While I resonate with Dewey’s progressive ideas on education, it is through Cornel West’s revision of Dewey that I find my true pedagogical home. West widens Dewey by acknowledging the deep injustices that shape our society. Through a lens of tragicomic hope, West has challenged me to take into account the “night alleys” of human experience, and move forward with hope—a verb of action, not just passive longing. It is this rhythm that moves beneath my own teaching, as I invite students to wrestle with issues of power imbalance, but each course rounds out into rhetorical action, as students complete their community-based projects. Teaching, for me, is an act of tragicomic hope. I recognize that the classroom is what Mary Louise Pratt terms a “contact zone,” a place of struggle and not only belonging. I see the inequalities of society reflected in the lives of my students and our community partners, inequalities I began to recognize that summer teaching African American History. But I don’t want to sink into the despair of academic analysis, to become paralyzed or complacent. It’s my pragmatic commitment to hope-as-action that keeps me moving, reflecting, revising—and teaching.